Today I finished reading Remote: Office Not Required, by Jason Fried and David Heinemeier Hansson. Jason and David are the founders of 37signals, a company that creates great web applications for collaborating and working. David is also the creator of the ultra popular web framework Ruby on Rails and they both already wrote two books called “Getting Real: The Smarter, Faster, Easier Way to Build a Successful Web Application” and my favorite, “Rework“. When you’re working with WordPress, especially with certain plugins or widgets, you might need to get the ID of a post or a page to link them, for example. Although you won’t find this ID easily within the WordPress dashboard, there’s still a really simple way to get it. All you need to do it go to edit the post or page you’re interested in, and then look at the URL in the browser. Yesterday I finally went to see jOBS. I must say I was excited when I first heard there was going to be a movie about Steve Jobs, but later when I started reading not-so-good reviews online and the comments from Woz saying the movie wasn’t too accurate, that initial excitement began to decrease. The movie is simply not good. The director (Joshua Michael Stern) had a great story to tell but he failed to do it right. It looks like he didn’t even read the Steve jobs biography by Walter Isaacson before making this movie. The scenes are disconnected, the music is out of timing with the pictures, there are a lot of moments that are not in the movie and a lot others that are not properly developed. The movie skips about 9 years when Jobs went to NeXT, they simply don’t say anything about it. Also the return of Jobs to Apple is not accurate at all. They don’t show anything about Apple buying NeXT in 1996, for example. Not everything is bad though. 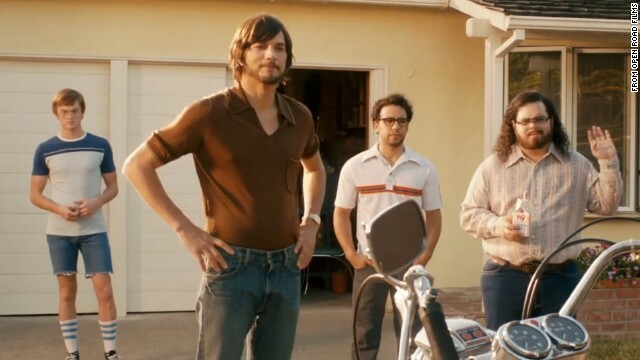 Ashton Kutcher’s acting is really good, but that’s about it. After having read the Steve Jobs biography by Walter Isaacson, this movie falls very, very short. If you want to learn about the history of Apple (and Microsoft), I highly recommend you watch Pirates of Silicon Valley.